Many people dread April 15th! As someone who already has my money usually (okay, always) spent on household projects etc. before I even get my refund, tax season is bittersweet. My account looks great for a whole week and then... it's time to pay the bills. This year termites are literally eating away at my refund! Bummer! But there is a plus side to tax season... delicious deals at some of our local eateries! If you're trying to get some grub tonight, check out the Huffington Post Article on places with tax day deals. Sonic, Boston Market, and Arby's are a few local places offering deals! 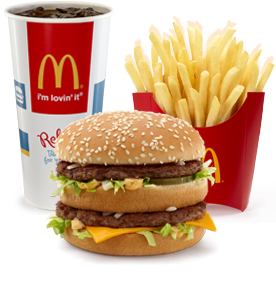 McDonald's is also having a special promotion buy one Big Mac and get one for a penny. Also, if you sign up to receive Smashburger's text alerts, your branch's Smashburger is offering BOGO entrees. But, you must show the text to get the deal. In the wise words of our local newscaster, John Mattarese, "Don't waste your money!" Even girls on a budget should get a special treat! I'm taking advantage of the Smashburger deal and perhaps some Sonic slushies! Yum! Shoe string lesson: Do a websearch for deals on holidays or birthday offers. Also, signing up for your favorite resturants' text alerts or email services can come in handy on special occasions (like birthdays or anniversaries) or Monday's that just happen to be April 15th!